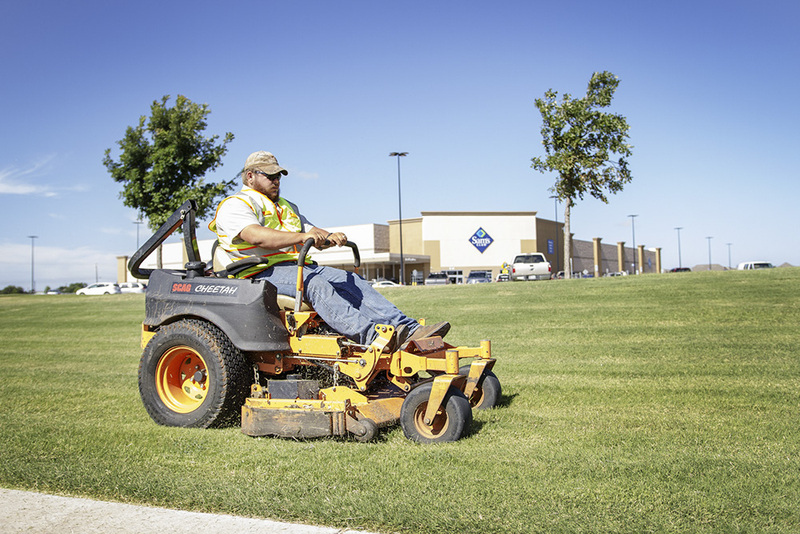 In our previous blog post, “Maintaining Commercial Exterior Property in Summer”, we mentioned adjusting the mower height to leave grass taller. We suggest continuing to do this through the full season, and early fall. Tall grass shades soil, which reduced water evaporation, leads to deeper roots and prevents weed seeds from germinating during summer heat. Late summer/early fall is an excellent time to plant many perennials, (a plant that lives for more than two years.) At More Clean of Texas, we choose plants that enable landscape areas to undergo a vibrant transformation come late-summer, emerging green, and colorful when winter’s snow piles have melted. Ideally, they will also provide transitional color in the fall as they ready themselves for the cooler months. Mulch serves many purposes for plants, so it’s important to replenish it when it begins to look sparse or loses color. Mid-summer is the perfect time to add some mulch to the soil and keep your plants hydrated while protecting your soil from weeds. When it comes to watering your lawn, you don’t want to invite mildew and fungus and cause more problems for your thriving lawn. A consistently wet lawn causes grass roots to become shallow, which makes your grass weak and more susceptible for disease and malnourishment. Apply weed control in late summer/early fall to help control existing weeds and prevent new ones. To get an extra boost out of your plants and flowering bushes, add some mid-summer fertilizer to the soil. Warm-season grass grows strongly during summer and needs nutrients. If you are unsure what kind or how much, our landscaping crew has the perfect solution to get the best fertilizer for your plants according to your environment and region. During late-summer, insects lay eggs within the soil. Eggs typically hatch into grubs in mid-to late summer. At More Clean, we suggest utilizing the dormant winter months by removing removing and/or treating problem weeds, diseased trees and shrubs in order to maintain the long-term health. If you have flowering trees, they should already be forming flowers for next year by mid to late summer — this also applies to other flowering plants. We suggest not pruning these trees or plants now because you might damage or remove next year’s flowers. By late-summer, non-flowering trees have already put out new areas of growth. Managing your landscape during the warmer months can be a big job. With each of these elements considered in your seasonal plan, we guarantee you are on your way to passing the customer approval test. If you’re ready to boost your business by having your parking lot, landscaping, and exterior appearance tidied up, then it’s time to get in touch with More Clean of Texas. Simply give us a call at (844) 655-1987. To stay up to date with all that is happening here at More Clean of Texas, find us on Facebook and LinkedIn.